I watched the new Supergirl TV show on CBS via the internet, and I have to say… Wow! 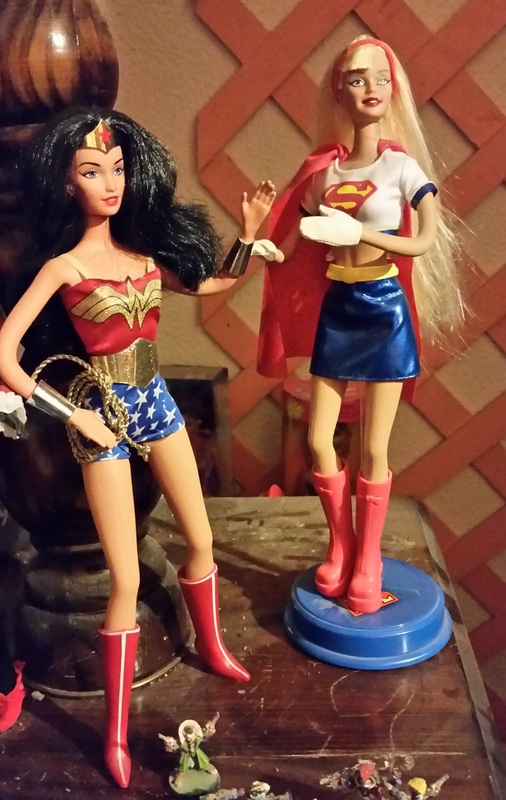 Now, I am not that big of a Supergirl fan. 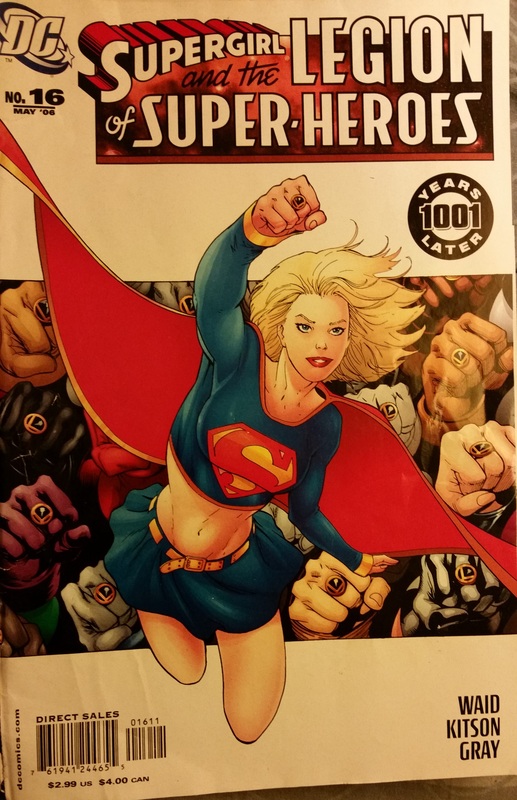 The comic book from my overly-massive comic book collection from 40-plus years of being a juvenile reader at heart is the only example I can find to illustrate Supergirl. And I only own that one because my eldest son wanted it at age 11 because of the bare-midriff dress in the cover illustration. I have never been all that fixated on Kara Jor-El’s belly button myself. But don’t get me started on a discussion of superhero babes with bare body parts in comics… well, because I will end up telling you things about myself I really don’t want you to know. But I do know enough of the Superman mythos to appreciate what the TV show has done with this character. Superman himself has been a part of my life ever since I can remember. 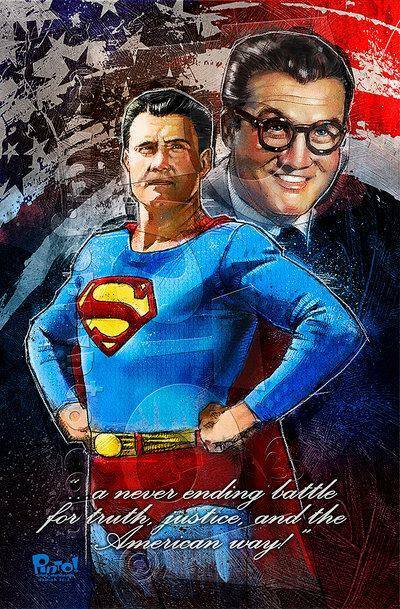 I remember him in black-and-white as George Reeves from the time I was first allowed to pick TV shows for myself. So, I watched this Supergirl show last night in spite of the fact that critics I have read basically hated it. I don’t actually understand their disdain. It had everything I love about comic books. The characters were simply drawn and two-dimensional, which is exactly what a comic book character should be. Kara was given a back-story that matches the comic book mythos quite well, and yet, other characters like Jimmy Olsen and her adopted sister are clearly innovative and new. The villain was life-and-death terrible in the way that comic book villains are supposed to be. He even died at the end of the episode as comic book villains are supposed to do in order to surprise us when they come back to life as comic book villains always do sooner or later. Everyone seems to love the CW’s newest version of The Flash on TV because it has that distinctive funny/violent comic book bravado about it. So why didn’t they see the same thing in this new show? I think, with time, this new show will prove them wrong. I like the lost-little-girl-turned-superhero story presented in this first episode. I went in expecting not to like it, and was bedazzled and befuddled and be-everythinged that you want this kind of show to do to you. I will not try to tell you that you should watch the show. If you are comic-book nutty like I am, you have probably already seen this show, and nothing I could say or do would have a ghost of a chance of keeping you away from it, if that was what I wanted to accomplish. And I know that many people hate this kind of thing with a passion. But, being honest here… something I am sure you are aware I rarely ever intentionally do… I want you to watch it so it will become popular and stay on the air. After all, a TV show like this will generate more dolls and toys to collect. Ta-ta-ta- TAAAH!! !